Yeah, you probably know Hakuoki (or Hakuouki), one of the very few otome VNs commercially available in the West. You might also know that it was only released on PSP (and PSVita as a downloadable title). What you might not know, though, is that a PSP emulator has already advanced so much, that you can play the game with almost no problems on a personal computer. 1. First of all you will need an emulator. Go to the official JPCSP page and download the latest revision. Then extract it to a location of your desire. 2. The emulator is programmed in Java, so you obviously will have to download & install it too, if you don't already have it. 3. Download and install Sonic Stage. While this program is freeware, you can only legally install it through the Internet. If you hate all kinds of DRM just like I do and want to save the program on your computer, download this standalone installer made by some Russian guys. 4. Download and install Xuggle-Xuggler. If you have problems downloading the program from its main site, grab it from this direct link. 6. Add your "Hakuoki" iso file into the umdimages folder of the emulator. The job of acquiring the said iso is your own. 7. Start "JPCSP Launcher" and press the Run button. Now you can configure the emulator. In the options enter the Configuration menu. Within the General tab check: Unpack PBP when loading, Save window positions on exit and Enable file IO logging. Within the Region tab choose English. Within the Video tab check: Only GE graphics, Use vertex cache, Use shaders, Use a geometry shader for 2D rendering, Enable saving GE screen to textures, Enable decoding of indexed textures and Enable dynamic shader generation. Don't check anything in Audio. Check both options in Memory. Within Media tab check: Use media engine, Extract media files to tmp folder and Decode audio files with SonicStage. Within Compiler tab check: Use compiler, Output profiler info to profiler.txt and choose maximum method size of 3000. Don't check anything in Crypto. In Display, choose Anti-aliasing of x16 and Native resolution. 8. Now go to File tab and press Load UMD. Choose the Hakuoki program and press Launch. Then press Run. Watch through the OP if you want and start the game. Play for a few minutes then check the tmp folder in your emulator directory. Folder ULUS10577 should have been created (catalog number for the standard edition. I believe LE has a different catalog No., but I doubt any rips of that one are floating on the Net). Now open ULUS10577 and see if folder Atrac was created within. If so, you are good to continue, if not - you did something wrong. 9. 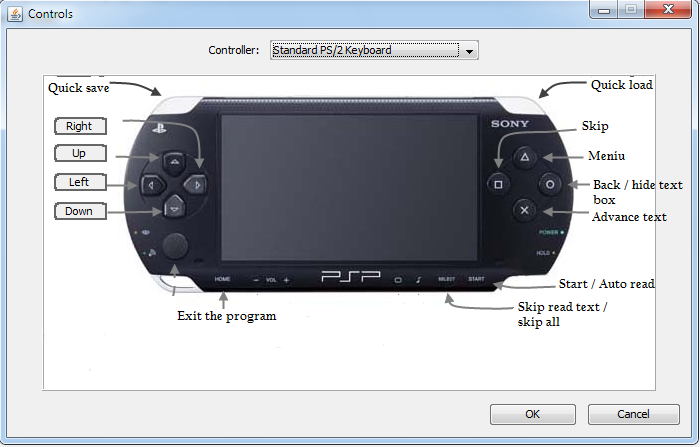 Download "mono_ATRAC3PLUS_Autoplay_assistant_tool" and extract it to your emulator directory. Find it in this thread (needs registration). The newest version will usually be in one of the last pages. ACHTUNG: It came to my attention that "mono_ATRAC3PLUS_Autoplay_assistant_tool" has become outdated and won't work with the new builds of the emulator. There is a new plugin in development. Check the "JPCSP and sound" section of this guide for more information. 10. Download and install "Sound Forge Pro 10.0". This is a commercial program; if you don't want to buy it, Warez-BB will cater to all your needs. 11. Start "JPCSP Launcher" and press the Run button. Then start "mono_ATRAC3PLUS_Autoplay_assistant_tool". In the directory menu, highlight Atrac folder within ULUS10577 directory. Press "Launch Sony Sound Forge" and point the program to "forge100.exe" file. "Sound Forge" will launch now, you can close it. Press Start. Now you can launch the game by loading UMD and pressing Run as in the beginning of the 8th step. a) Start "JPCSP Launcher". Press Run. b) Start "mono_ATRAC3PLUS_Autoplay_assistant_tool". Press Start. a) The OP is a bit glitchy and has annoying flashes. b) Stray garbage characters might sometimes appear in the text-box, but that isn't really a big deal. c) Once in a blue moon voices might disappear. If that happens, just save where you are and re-launch the emulator. Would this work for any PSP rom/iso-style? Theoretically. The PSP emulation still has a long way to go and many games are not compatible, but you can always try. Note, that all those many steps are required to get sound and voices working properly. Just complete steps 1, 2, 5, 6. Launch the game and see if it works. Tinker with configurations. If the game works, then you can start on the sound. Thanks a bunch. worked perfectly even on my low-end laptop. Well done! 2) Can you recommend any other english PSP VN's that don't have PC counterparts? 1) That tool together with Sound Forge are required to decode voices. Of course, if voices are not present in the game, they are not needed. 2) Dunno really. This is the first PSP title I tried to play. After I finish Hakuouki I'll probably try to launch "Corpse Party" or "Fate/Extra". Updated the 11th step, as I had forgotten to include some pointers. I was wondering if you could help me...the game worked fine for me before I installed soundforge. I made sure the Atrac folder existed as well. However, once I installed soundforge and launched it with the MONO-tool thingy and pressed start, it failed, and now every time I open jpcsp and load Hakuouki, it shows up as a blank screen. What exactly is wrong? Thanks for the help. Minimize this window (do not press any of the buttons, within the window) and launch your game within the emulator. If you have any problems, visiting www.emunewz.net would be a good idea, but never let them know if you pirated the game or you will be banned. Oh, and if your emulator now fails to load at all as I understand from your post, deleting Atrac folder should fix that or in the worst case, just completely "reinstall" the emulator (though there is no actual installation involved). 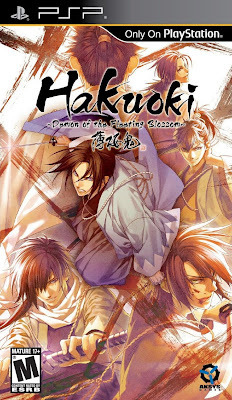 Hi Hakuouki worked perfectly for me several months back and I completed the whole game :) However, today I went back to it, and the game plays perfectly, but the voices don't work anymore :o I (stupidly) put in another psp game iso in the umd folder. I deleted it, but now I can't hear voices on hakuouki! Every time I click launch sony sound forge, it says, "Warning an error occurred while opening one or more files. The item was not found." I click more details, and then it says, "The file C:\Users\MYUSER\Desktop\Hakuoki\jpcsp-windows-x86\tmp\ULUS10577\Atrac\Atrac-00017558-09C20AC8.oma.AddHeader could not be opened." OMG thank you!! <3 I was so distraught to discover the voices weren't working anymore and what you said worked :) Thanks again! Come on man (or is it a woman? ), your Google-fu is seriously lacking. I quickly entered the full name of the game and added iso at the end. The very first link was a trusted download site. So, what's the problem? Oh, for God's... I meant emuparadise.me. At the very least it is the very first hit for me and I can vouch it is a trustworthy site. Alternatively use piratebay, as I got my copy from there. I went to download mono_ATRAC3PLUS_Autoplay_assistant_tool from the size above but it said it was outdated & linked to another version, does it have the same function or do I have to change anything or just follow the same steps? Well, I haven't used the emulator for quite some time and some things changed, especially regarding sound emulation. As you said, the "mono" thingy became outdated and I know nothing about the new plugin, thus cannot really help you here. There is a brief guide at http://www.emunewz.net/forum/showthread.php?tid=14984. Read it and maybe you will get it to work by yourself. Hey thank you for this explanation.It was really helpfull. Just a little question: do you have to follow step 9-11 to be able to play thegame in full even if you're not intressed in playing with sound? Thank you. If you don't want to hear speech than no, you don't need to do those steps. Hello, thank you for the steps. I'm having a lot of trouble getting past step 7. I can't run the JPCSP launcher. It doesn't have a configuration option that has the stuff I'm supposed to check. When i click it, a tiny box appears and when i click run, the phrase "error jogl.dll missing" appears. and download the Windows specific zip (I'm assuming you are using windows). Amd64 for x64 and i586 for x32 platforms. I think you only need to extract jogl.dll from the archive into your emulator directory. If that doesn't work you might try checking other versions of the binder from the web archive. good tutorial, thank you! The only problem is that I can't save... I press w then save and I save it, buy when I go there the next time, nothing appears in continue... Do you have any idea? I really don't think I can help. I have played the game more than a year ago and the technical details are sketchy at best. At most I can ask you to make sure that folder "ms0" is not set to "read-only". That's were the emulator used to put the save files... unless you are using a new version of the emulator and it uses a different saving method.